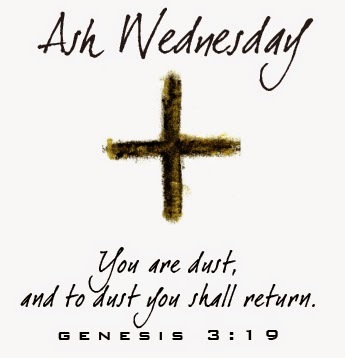 Ashes are an ancient sign of penitence. The Ash Wednesday service draws on the ancient Biblical traditions of covering one's head with ashes, wearing sackcloth, and fasting. From the Middle Ages it became the custom to begin Lent by being marked in ash with the sign of the cross, a practice that continues today. Today, the ash used is the remnants of the previous years’ palms that had been blessed at the previous years' Palm Sunday service.